The Japanese horror icons who brought us so much fear, paranoia, and many sleepless nights, will haunt us back in an unimaginable crossover. Sadako from The Ring series and Kayako from Ju On: The Grudge will battle it out to find out who is the most deadly evil force in the film — Sadako vs Kayako. This movie was revealed as one of the twenty magnificent films lined up to play at the upcoming 20th Eiga Sai anniversary in the Philippines. Eiga Sai 2017, the Japanese Film Festival recently announced the official list of movies to screen in Manila, Philippines from July 1 to August 29. This event comes along the celebration of Japan-Philippine friendship month. The film Sadako vs Kayako came out first as an April Fools' joke, but to everyone's surprise, it became a real production after the December 10, 2015 confirmation. The horror film was released on June 18, 2016 in Japan and a North American release followed on January 26, 2017 thru the streaming site Shudder. Natsumi watched the cursed videotape. With only two days left before the demonic entity comes to kill her, she needed another evil spirit to unknowingly shield her. Natsumi's one and only hope is to trap Sadako in a match against Kayako, another menacing force residing in a haunted house. The vengeful spirits of The Ring and The Grudge faces off. From one corner, a psychic who got thrown in the well and vowed to revenge on the world, Sadako. She uses nensha, which allowed her to create a cursed video tape, and whoever watches it dies after seven days. In most times, the TV summons her to the location of her victim to cause terror before a weird kind of death. From the opposite corner, a rage master who fulfilled the Ju On curse. She died in a deep state of anger and those feelings remain in the place and kill whoever touches it. She haunts their house together with her son, Toshio. You'll be hearing her crazy death rattle again. Despite the rumours, Takako Fuji did not reprise the role as Kayako. She stated this earlier on Twitter that she will not represent the character. Runa Endo plays the role of Kayako making her the fourth actress to star as the said horror icon. On the other hand, Elly Nanami becomes the seventh actress to take the role of Sadako. 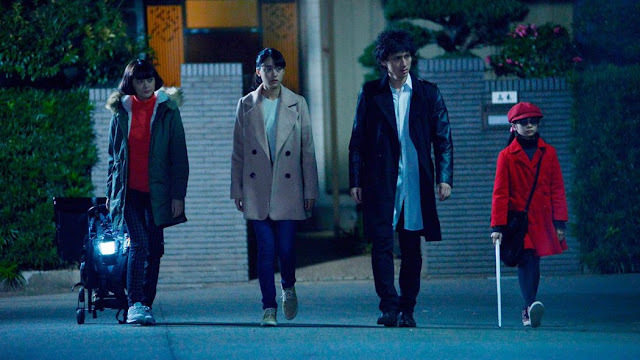 Other casts include Mizuki Yamamoto as Sadakaya, Tina Tamashiro as Suzuka Takagi, Aimi Satsukawa as Natsumi Ueno, Masahiro Komoto as Shin'ichi Morishige and Masanobu Ando as Keizo Tokiwa. Take note that screening on different places may happen at the same date. 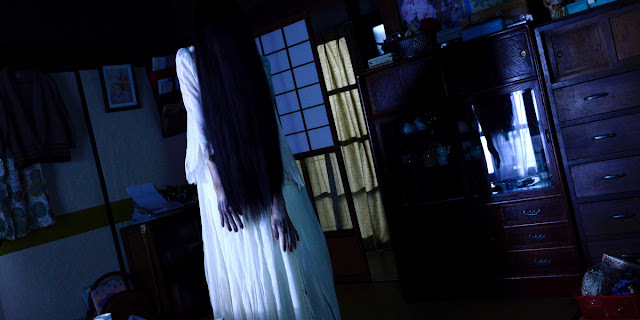 Want to watch the film while cosplaying as Sadako? Check this Ninimour Women Adult Sadako Costume. It's kind of easy to cosplay Kayako. Just wear tattered white nightgown dotted with fake blood. Here's a 75 cm Heat Resistant High Quality Wig if your hair isn't long enough. The 98-minute film from NBCUniversal Entertainment Japan was written and directed by Koji Shiraishi. So who do you think would win this match? Will it end up like the below? Kayako: What are you doing here? Sadako: They watched my videotape. I'll kill them. Kayako: But this is my house. I really have no idea as to how these two would meet and clash. I might as well sit back and hope that both would banish each other. As the banner says, winner kills all.